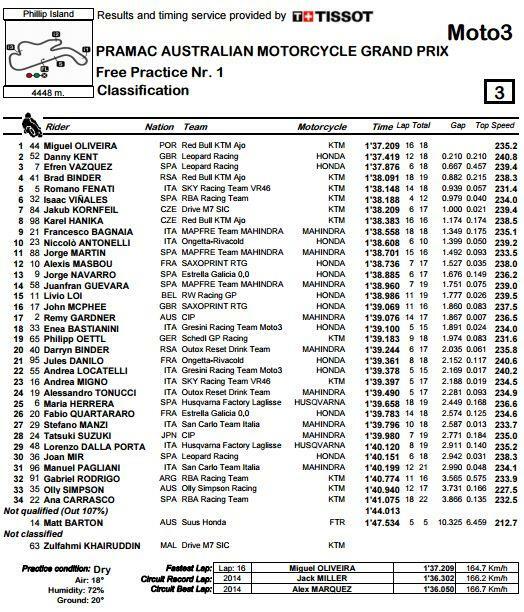 Miguel Oliviera topped the opening Moto3 session of the weekend with Danny Kent second fastest, two tenths off the pace. 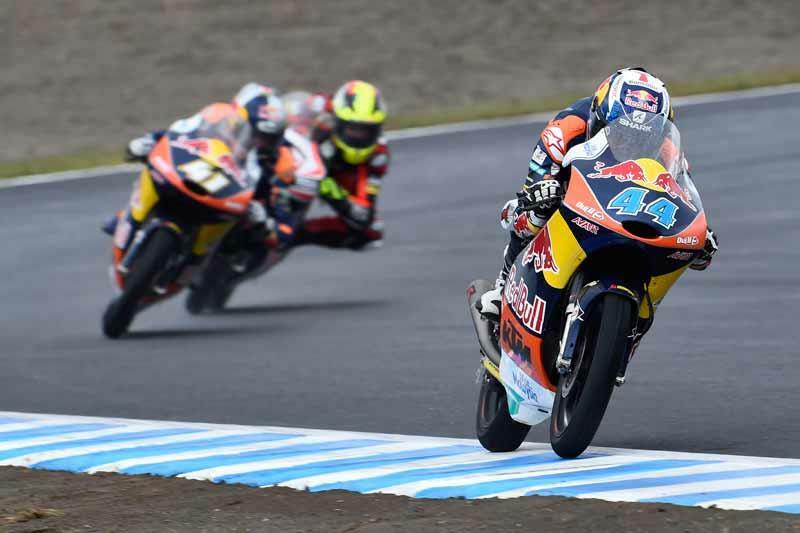 The championship leader is on the verge of a first world title and a top two finish, or a finish ahead of Enea Bastianini, would clinch the crown. Bastianini was 18th fastest in the session.